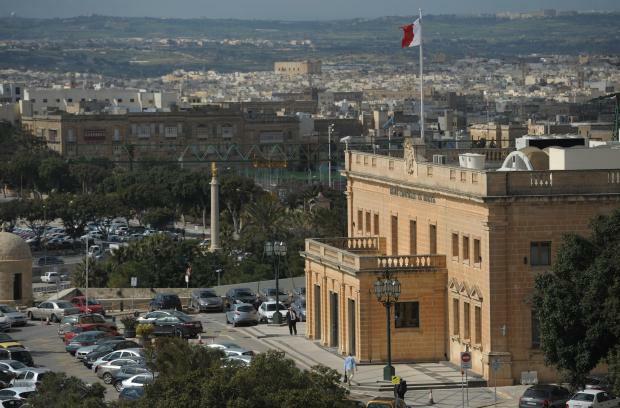 The Central Bank of Malta first Quarterly Review for 2019 notes that the Maltese economy in the third quarter of 2018 grew at a fast pace, with real gross domestic product (GDP) rising by 7.5% in annual terms, following a 6.2% increase in the preceding quarter, more than four times the rate recorded in the eurozone as a whole. The economic expansion was largely driven by domestic demand, although the contribution of net exports was also positive. In contrast to GDP growth, potential output growth eased slightly to 5.4% during the quarter under review, from 5.7% in the second quarter of 2018. The positive output gap, measured as a four-quarter moving average, widened during the quarter under review, though the degree of overutilisation of the economy’s productive capacity remained similar to levels estimated for the same quarter of 2017 and below those in 2015 and 2016. The surplus on the current account of the balance of payments widened during the third quarter of 2018. This reflected a higher net surplus from trade in services. The Bank’s measure of the cyclically-adjusted current account was similar to the headline measure. This suggests that this surplus largely reflects structural factors other than the economy’s cyclical position. Residents’ deposits with monetary financial institutions operating in Malta continued to expand during the third quarter of 2018. At the same time, credit growth picked-up, reflecting faster growth in credit to residents outside general government. Growth in mortgage loans to households remained strong, while growth in bank loans to non-financial corporations showed further signs of recovery. Meanwhile, the Bank’s Financial Conditions Index improved, although it continued to signal tight conditions by historical standards. Purchases under the asset purchase programme (APP) continued at the monthly pace of €30 billion until the end of September 2018. As of October, these purchases were carried out at a monthly pace of €15 billion. Asset purchases continued until the end of December and then ended.